How serious is Jesus about blessing our enemies? Very! 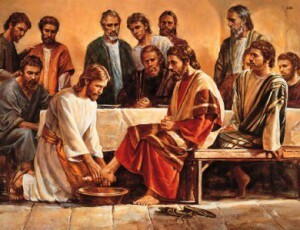 In fact, just before Jesus reveals his betrayer, Jesus washes the betrayer’s feet! Judas is about as “against God” as you can possibly be… yet, Jesus washed Judas’ feet just before Judas gave the Pharisees Jesus’ location for 30 pieces of silver. What are you doing to bless your enemies?